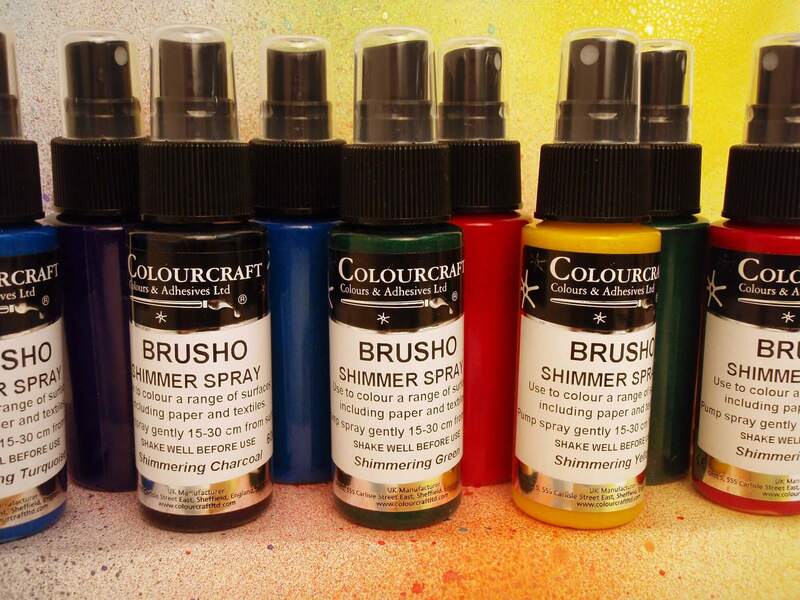 Brusho Acrylic Shimmer Spray Assorted Pack - 6 x 60ml - BRUSHO® | Colourcraft Ltd.
Acrylic based fine mist sprays which are non-toxic. The shimmer sprays add a touch of lustre to the surface. Try layering one colour over another. Ideal for creative projects on paper, card, fabric, board and in silk paper making. Spray from a distance for an even mist or up close for a droplet or beading effect. Outstanding effects can be achieved on Lutrador, Evolon and Bondaweb. Excellent fastness resistance. VOC and Oil free, Wheat & Gluten free, Acid free.